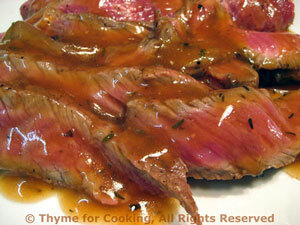 Thyme for Cooking Weekend Menu: Sirloin Steak Madeira, easy recipes. Marinate the steak at least 3 hours, longer if it's a tougher cut. A round steak, could use 24 hours. for example. 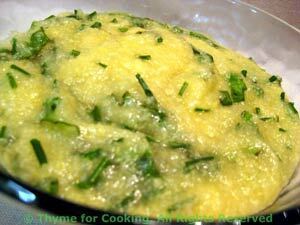 This is a simple polenta dish, allowing the flavors of the fresh herbs to dominate. Check the package directions for quantity proportions. It should be like soft mashed potatoes. Heat stock in a small sauce pan over medium heat. When stock is simmering slowly pour in polenta, whisking constantly. Cook, stirring constantly (seriously: constantly), about 5 minutes or until done. Stir in the fresh herbs. 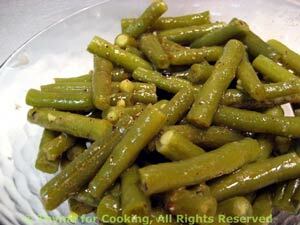 Cover and let sit 5 minutes. Note: If it gets too thick while resting you can thin with a bit of milk or more stock.